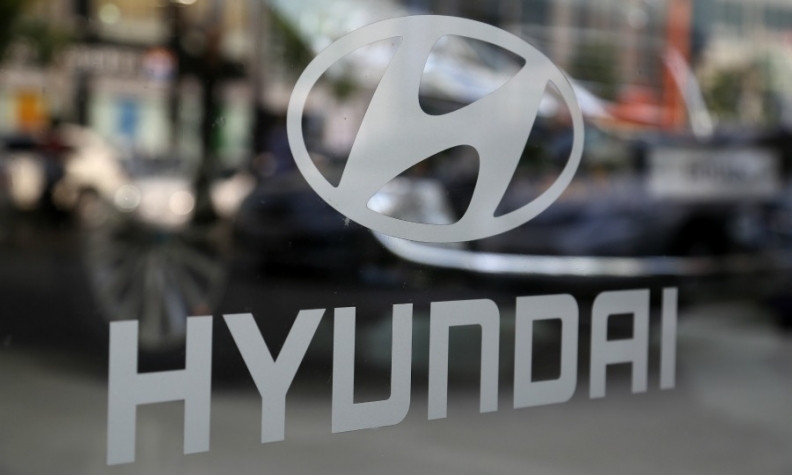 SEOUL (Bloomberg) -- Hyundai Motor Co. reported quarterly profit fell 23 percent after a slump in China deliveries overshadowed gains in SUV sales in the U.S., Europe and South Korea. Net income dropped to 1.17 trillion won ($1 billion) in the three months through September, the seventh consecutive year-on-year quarterly decline, the Seoul-based company said today. That compares with the 1.48 trillion won average of 21 analysts’ estimates compiled by Bloomberg. Sales rose to 23.4 trillion won from 21.28 trillion won a year earlier. Hyundai’s worldwide deliveries slipped for a third straight quarter, dragged down by weak demand in China, Russia and Brazil. The slump in emerging markets has weighed on the automaker, whose push to attract buyers with upgrades of its sedans, recreational vehicles and SUVs is beginning to yield results in more developed markets. The company is counting on new models and tax breaks in China and South Korea to boost sales in the fourth quarter. “We expect sales in China to turn around from October” after the cut in purchase tax on small passenger vehicles, CFO Lee Won Hee said on a post-earnings conference call. Hyundai expects fourth-quarter profits to improve, helped by China and South Korea’s plans to cut a tax on vehicles and as new models begin sales in key markets, he said. Hyundai’s sales slumped 18 percent in the third quarter in China, where demand has slowed as economic growth moderated and a summer stock-market rout deterred buyers. None of its models ranked among the 10-best selling SUVs in the nine months through September. Plant sales in Russia and Brazil dropped 2.4 percent and 9.2 percent, respectively. The automaker’s sales at home, its most profitable market, rose 4.8 percent to 163,009 units in the quarter after a cut in the consumption tax on vehicles. The company is benefiting from introductions of upgraded versions of its utility vehicles after missing out on a worldwide shift in demand for the more spacious and higher-riding models amid falling gasoline prices. “We are a sedan-based carmaker, and as you know, global demand for sedans slowed while demand for RVs and SUVs rose, and our production capacity couldn’t keep up with the demand for our RVs and SUVs,” Lee said. Hyundai has expanded production of its Tucson SUVs in its Ulsan, South Korea plant to meet rising demand, he said.